As Chairman of the U.S. House Appropriations Subcommittee on Agriculture, Congressman Bishop continues to work hard to make sure Georgia’s farmers and ranchers have the opportunity to prosper. The 2nd District is home to thousands of farmers, whose work is vital to Georgia’s economy and the prosperity of the nation. Agriculture puts food on our tables and clothes on our back. Our prosperity depends on agriculture. One-in-five Americans also works in a job related to agriculture and food production. The 2nd District produces more peanuts than any other district – more than 25% of all peanuts produced in America. In addition, cotton, soybeans, tobacco, pecans, watermelons, and wheat are among the many crops that are grown in the district. Livestock and poultry play a significant role in the agricultural economy of the 2nd District as well. Forestry and agriculture byproducts also are vital in the production of bioenergy. Finding a commonsense approach to food safety that can alleviate hunger as well as prevent contamination and the spread of food-borne illnesses. Working through the House Agriculture Appropriations Subcommittee to advance agricultural research, the production of American-made energy, and ensure a safe, abundant food supply. Extending broadband and wireless services to rural communities which will allow farmers and ranchers to take advantage of technology to help them remain profitable and competitive, and otherwise promote rural economic development. Fighting for strong emergency federal disaster assistance to our Southwest Georgia farm communities, particularly in light of losses caused by hurricanes, excessive rain during harvest, and other natural disasters. Reducing or eliminating the estate tax while providing farmers and small business owners with the stability, certainty, and peace of mind they need as they plan for the future. Most recently, Congressman Bishop went to bat for farmers and the peanut industry when the U.S. Department of Transportation was considering a ban of peanuts on airplanes, a measure that would have had a devastating effect on our area. His efforts resulted in the DOT taking the proposed peanut ban off the table. Also, Congress Bishop fought against a proposal to the budget that would end compensation to cotton and peanut farmers for storage costs when they keep crops until the market rates improves. Congressman Bishop says balancing the budget should not come at the expense of our farmers. He was an original co-sponsor of the Food Safety Modernization Act, which will fix systemic problems in our food safety system and establish a separate Food Safety Administration that will be solely focused on protecting the public through better regulation of the food supply. Congressman Bishop supported and helped pass the American Recovery and Reinvestment Act (ARRA), which provided $7.2 billion ($163 million in Georgia) – one of the largest single investments of its kind – for extending broadband and wireless services to underserved communities across the country, including full coverage for Southwest Georgia in the 2ndCongressional District. Congressman Bishop helped to craft the Farm Bill, which made historic investments in our food and farm economy by expanding food security programs, protecting our vital natural resources, promoting healthier foods and local food networks, and reforming commodity and biofuel programs. Congressman Bishop is a proponent of providing our law enforcement officials, fire fighters and first responders with the necessary resources to ensure that 2nd District communities are safe places to live, work, and play. He supports funding programs that deter youths from straying into gang and criminal activity. Research has consistently shown that investment in prevention-based strategies that reach at-risk youth before they ever become involved in criminal activity are the most effective way to reduce crime in the long-term. He is relentless in his efforts to seek equal justice for all citizens. He supports programs to provide prison inmates with educational, vocational and job-related skills and job-placement assistance when released, encourages the use of programs to provide prison inmates with drug and alcohol addiction treatment. He wants to have crimes based on gender, sexual orientation, and disability be required to be prosecuted as federal hate crimes and wants stricter penalties for those convicted of corporate crimes. Through his service on the House Appropriations Subcommittees on Defense, Military Construction and Veterans Affairs, as well as his work as Co-Chair of the Military Family Caucus, Congressman Bishop has proudly supported the men and women of United States armed forces who sacrifice to keep the nation safe and secure. He firmly believes national security and defense of our homeland can and must be done in a way that is consistent with the Constitution and values of the United States. Congressman Bishop fights to make sure our military’s men and women have the best weapons, equipment, materials, and support for their families – a reasonable expectation given the sacrifices they make for our country. Congressman Bishop supports initiatives like the Games, Education, Modeling and Simulation (GEMS) Institute at Fort Benning, a cutting edge collaborative effort between Ft. Benning, the Maneuver Center of Excellence, and Columbus State University. The $1.6 million which his office helped secure will help GEMS in developing technology for the defense industry and commercial applications involving modeling and simulation. Its economic impact for the region will be significant, and will save the Department of Defense billions of dollars in military training costs. Congressman Bishop also supports funding for programs that can lead to technologies and techniques for better immediate clinical combat care and address long-term care issues involving limb loss, tissue and organ damage, facial and dental injuries, and reconstruction. He has supported funding the research and development of advanced batteries for hybrid vehicles that will decrease America’s dependence on foreign oil, reduce carbon emissions, and increase America’s national security. 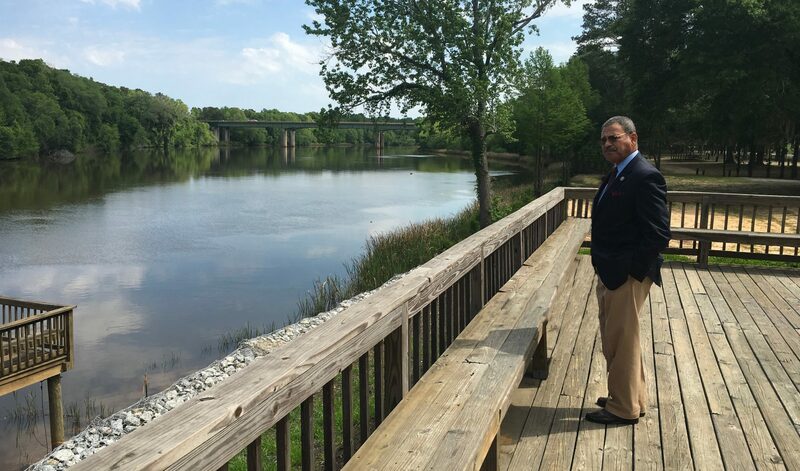 Rebuilding the economy of Georgia’s 2nd Congressional District and the nation is Congressman Bishop’s top priority. Throughout his career in the United States House of Representatives, he has fought to create jobs, help unemployed workers struggling to find employment, provide tax relief for working American families and companies, eliminate the estate tax, and bolster the small business sector. Congressman Bishop hosted a Small Business Lending Forum in Albany, Georgia in August 2010, where constituents had the opportunity to learn about current lending and financing options available through the Small Business Administration. He efforts for a $30 billion Small Business Lending Fund to make capital investments in eligible community banks with assets less than $10 billion. He also voted in favor of the legislation to increase the SBA’s loan guarantee limits for 7(a) and 504/CDC loans. Congressman Bishop supported the Education Jobs and Medicaid Assistance Act, which provides $10 billion for aid to local school districts to prevent layoffs in elementary and secondary schools, saving an estimated 161,000 education jobs. Failure to pass this legislation would have caused states to lose significant amounts of fiscal relief, leading to a loss of state jobs. This legislation prevented the state from laying off more firefighters and police officers, cutting more services, raising taxes, and slowing down the economic recovery that is already underway. Congressman Bishop supported the Jobs for Main Street Act, which includes a payroll tax holiday for businesses that hire unemployed workers, to create some 300,000 jobs and an income tax credit of $1,000 for businesses that retain these employees. Congressman Bishop voted for the Credit Cardholders’ Bill of Rights, which will apply common-sense regulations to ban unfair rate increases and forbid abusive fees and penalties. Congressman Bishop supported the American Recovery and Reinvestment Act (ARRA), which funds transportation and infrastructure upgrades and construction, health care initiatives, education assistance, housing aid, and energy efficiency upgrades. The measure also contains personal and business tax cuts and includes tax provisions providing fiscal relief to the states. The 2nd District has received over $566 million. The impact of ARRA continues to be felt in every corner of southwest Georgia. With these funds, new jobs are created and existing ones are saved. The funding also will lead to the improving of drinking water, constructing new roads, bolstering rural health care infrastructure, strengthening schools, and improving the quality of life for all of the residents of the 2nd District. All thirty-two counties in the 2nd District have received ARRA funds. Congressman Bishop joined a bipartisan majority of his colleagues in the U.S. House of Representatives in supporting legislation that protects American manufacturing jobs and exports by allowing the U.S. Department of Commerce to continue to apply countervailing duties in cases involving non-market economy nations like China and Vietnam. The economy of the 2nd District continues to benefit from relationships he has cultivated in Washington. The Marine Corps Logistics Base in Albany was spared closure and jobs were saved due to Congressman Bishop’s efforts. The Chattahoochee Valley area surrounding Columbus will see an influx of troops from Fort Knox and their families. Congressman Bishop helped to secure $333.4 million for the Ft. Benning Maneuver Center of Excellence for BRAC and other related construction projects. Ft. Benning contributes over $1.2 billion to the local Columbus economy annually and supports over 51,000 military and civilian jobs. Congressman Bishop believes that education goes hand-in hand with America’s economic recovery. Throughout his career in the United States House of Representatives, he has supported initiatives to ensure that Americans of all ages have the knowledge and skills they need to succeed in the global economy. In the midst of the nation’s prolonged economic downturn, Congressman Bishop was proud to support the Education Jobs and Medicaid Assistance Act, which provides $10 billion for aid to local school districts to prevent layoffs in elementary and secondary schools, saving an estimated 161,000 education jobs nationwide and the jobs of 5,700 in Georgia. Congressman Bishop also supported the American Recovery and Reinvestment Act (ARRA), which was enacted during the height of the economic downturn in 2009. Among its provisions are a State Fiscal Stabilization Fund, which helps local school districts prevent teacher layoffs as well as modernize and repair public schools; a $2,500 American Opportunity Tax Credit to make college more affordable; an expansion of Head Start to 110,000 additional children; and increased funds for education technology and improving teacher quality. In addition, he has worked tirelessly to make our nation’s schools and universities accessible and affordable. He strongly supported the Student Aid and Fiscal Responsibility Act, which is the single largest investment in aid to help students and families pay for college in history. The legislation, which was signed into law on March 30, 2010, also is fully offset and comes at no cost to taxpayers. The Student Aid and Fiscal Responsibility Act reforms the system of federal student loans to save taxpayers $87 billion. It then invests $77 billion of those savings back into education, especially by making college more affordable, and directs $10 billion back to the Treasury to reduce entitlement spending. The measure also increases the Pell Grant maximum amount and keeps interest rates low on subsidized federal student loans. Other provisions invests $2.5 billion in Historically Black Colleges and Universities and Minority-Serving Institutions as well as $2 billion in a competitive grant program for community colleges to develop and improve educational or career training programs. Distant learning will now be possible for most of the area thanks to $20 million in stimulus funding that will allow for broadband Internet service in several southwest Georgia counties. Of those funds, $13 million in stimulus funds have been allocated for the development of high-speed broadband in Baker, Calhoun, Early, Mitchell, and Miller counties. An additional $4.5 million in stimulus grants, plus a $1.5 million private match, allowed internet providers to increase and enhance high-speed broadband lines throughout southwest Georgia to speeds of up to 12 mega-bits per second. Congressman Bishop has worked on issues from the Tired Creek Project (the construction of a 900-acre recreational fishing lake in Grady County) to flood protection and water security projects throughout the 2nd District. He also supports increasing domestic energy production and a reduction of our dependence on foreign oil. Congressman Bishop supports initiatives to make health care more accessible and affordable, protect Medicare beneficiaries’ access to physicians, and increase funding for cancer research. He also supports efforts to combat childhood obesity, extend health insurance coverage for the unemployed, expand community health care centers, reduce physician shortages, and improve veterans’ health care. He strongly supports the Affordable Care Act because it makes significant strides toward improving the health and well-being of the citizens of Georgia’s 2nd District. Congressman Bishop also supports the increased utilization of electronic medical records to reduce medical errors and high administrative costs. In addition, he understands that prevention is important to a healthy population, and he supports additional preventative health care measures for children and adults. He also advocates for increased funding for medical research at the National Institutes of Health and other research institutions. Tax relief is vital to encouraging economic growth. Congressman Bishop believes that tax relief is a bi-partisan issue and has routinely crossed the aisle to do what is best for American families. For example, he strongly supported the extension of the 2001 and 2003 tax cuts, which lowered tax rates across the board for all Americans and propelled the economic growth we experienced through most of the last decade. Critical to economic growth is a quality transportation infrastructure. Congressman Bishop understands that area prosperity and job creation requires this as new roads and highways and transportation facilities are essential to meet the needs of prospective industries and attendant population growth. His vote for the Stimulus Bill was a vote for all his constituents as within it were funds for shoring up transportation infrastructure throughout the 2nd District. Additionally, he has made sure transportation appropriations bills have included funding for the Southwest Georgia Regional Airport and various improvements in Albany, Leesburg, Columbus, Macon, and other towns, cities, and counties across Middle and Southwest Georgia. Congressman Bishop supports efforts to improve the quality of life for the brave men and women who sacrifice to serve our nation, as well as the many veterans who have served us in the past. He is well acquainted with how vital the 2nd District is to our defense as both Fort Benning (near Columbus) and Albany’s Marine Corps Logistics are within the district, where he is privileged to count thousands of military personnel and veterans among his constituency. His representing these military installations has given Congressman Bishop a primary role in addressing a wide-range of issues that affect our service men and women. He has also traveled to both Iraq and Afghanistan to visit the troops and see firsthand the remarkable work our young men and women are doing there. He continues to support legislation regarding the effects that traumatic brain injuries (TBI) and post-traumatic stress disorder (PTSD) are having on wounded warriors. Understanding the toll taken on those at home, he is working to determine and develop ways to address and resolve key issues that impact military families. As a Member of the Appropriations Committee provided more than $50.2 billion for veteran’s medical care. Additionally, he will continue to examine ways to lengthen the amount of time at home station between combat deployments to Iraq and Afghanistan to prevent burning out our troops. And he will look to plan ways to maintain a quality education and access to life-long learning opportunities for military children as they relocate from duty station to duty station.